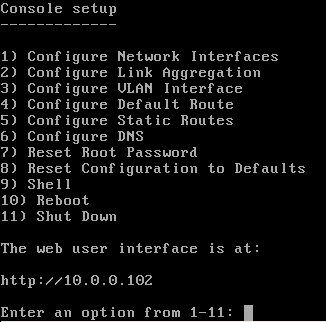 By default, the login screen shown in Figure 3.2.1 prompts to log into the new UI. To instead log into the legacy web interface, click LEGACY WEB INTERFACE. A prompt appears to confirm the choice. Enter the password for the root user that was chosen during the installation. There is a prompt to set a root password if this was not set during the installation. 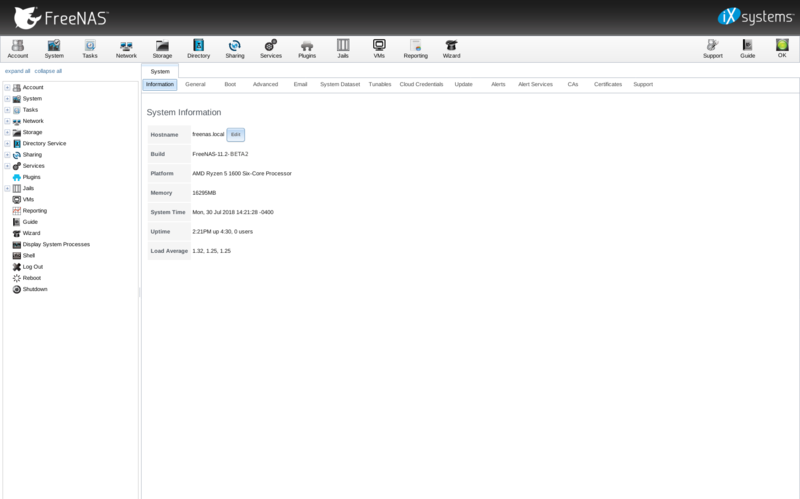 The administrative GUI is displayed as shown in Figure 3.2.2. The rest of this Guide describes the legacy UI. 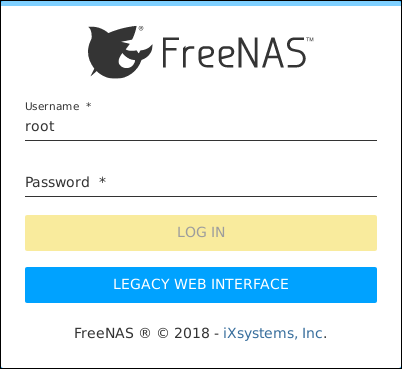 To access the Guide for the new UI, log into the new UI and click Guide or access it online at doc.freenas.org/11.2/freenas.html.